My goodness, it is February already! I don’t know about you, but January flew by in our house. The snow/ice storm we had in Atlanta last week kept the kids home from school and we had a blast playing in the snow. What’s the weather like where you are? In this type of weather I love to curl up under a blanket with a wonderful book. It’s a good thing we have so many to choose from in February! I’m currently reading Jaci Burton’s Melting the Ice and it is certainly hot enough to do just that! 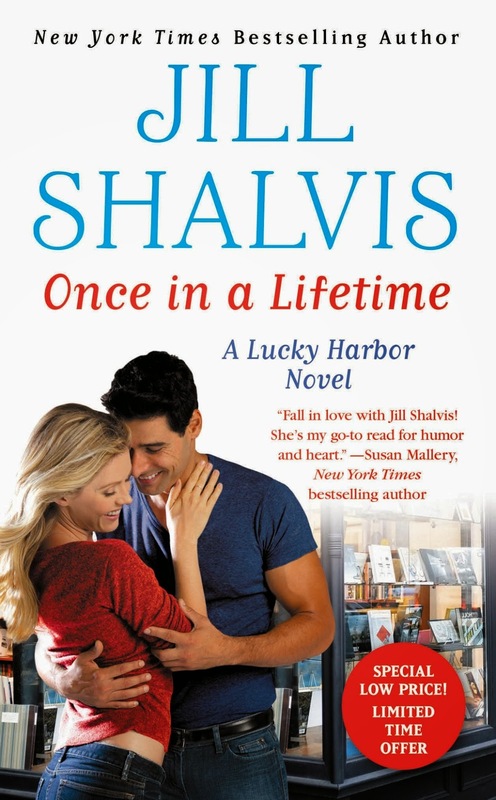 I’m looking forward to reading Tessa Dare’s series starter, Romancing the Duke, Once in a Lifetime by Jill Shalvis, Uninvited by Sophie Jordan, and Why Earls Fall in Love by Manda Collins. I am behind again lol. I want to read all the historicals and especially Grace Burrowes. Even before I read through the titles I fell in love with all of the gorgeous covers. 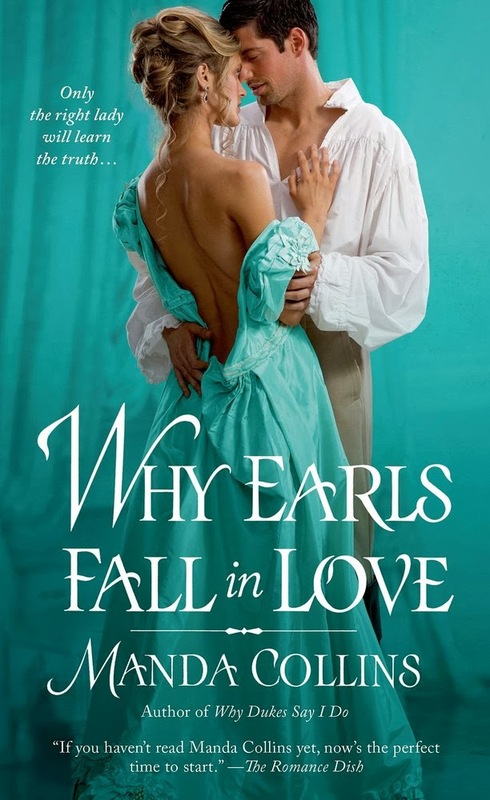 WHY EARLS FALL IN LOVE tops my list. Haven't had time to read any of the Feb releases yet! Catherine Anderson's 'Walking on Air' is my top choice .... just bought the audio version. That icy weather in the US has distorted the jet stream so much that it is sucking deep depressions across the Atlantic and drenching the British Isles. Haha, Quantum! I hope you get some dry weather soon. But in the meantime, enjoy your time spent with new releases! Motorcycle Man by Kristen Ashley is the only one I have read so far. 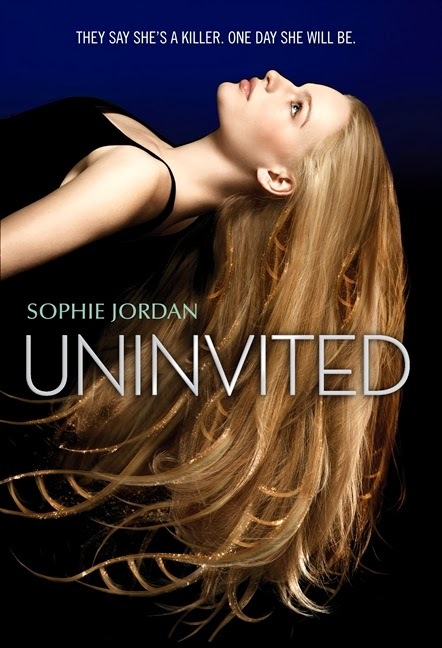 I loved this book and this whole series is wonderful. I have a lot of the others on my tbr list. Thanks for the rec, kmannrn! Contemps by R Kaye, M Force, J Shalvis, Mustang Ridge. Am reading S Woods new one now. Thanks! Let us know how it is, pat! I just started Perfect Together by Carly Phillips. Sad that this is the last Serendipity story, Looks like there are many to choose from above, Also, ebook Scandal on the Sand by Roxanne St. Claire is now available! I just downloaded it. It's the third in her Barefoot Bay Billionaires trilogy. Happy reading! How did you like Tessa's latest, gamistress? I really enjoyed it. thought it start a little slow, but that may well have been just me as I was watching the super bowl at the time too ;) but it definitely picked up as I stayed up late to finish it that night (who needs a good nights rest for work when there's a book that must be finished). There are a number of books coming out on my birthday (Feb 25) that I think of as personal birthday gifts from the authors. Monica McCarty's new one (The Raider) and Lorraine Heath's newest. Swoons! Oh, what a delicious day that will be! Oh, and Thor 2 will be out which is also pre-ordered so it will be a GRAND birthday. So many great books again! I have read Tessa Dare's "Romancing the Duke" and Sharon Sala's, "The Curl up and Dye." Both are fantastic and left me giggling. Looking forward to reading Megan Mulry's "R is For Rebel." She is a great author. So many other Historical and Contemporary books are on my list and too long for me to write them all here. Living in southwest Florida, we usually have a mild winter. However, this past January was a real bear and very cold for us. I know that sounds really whiney for everything that our northern neighbors have been suffering thorough. Sure do hope that Punxatawney Phil was wrong in his prediction! Hurry up, spring! Of course, my TBR pile is huge, so I shouldn't even be thinking about any new books!!! I am very much looking forward to reading Elizabeth Michels' MUST LOVE DUKES. I really enjoyed her visit here yesterday. :) I am also looking forward to new books by Tessa Dare and Cathy Maxwell. As usual, all the historicals appeal. For Contemporaries: Do or Die – Suzanne Brockmann, All You Need Is Love – Marie Force, Cider Brook – Carla Neggers, Perfect Together – Carly Phillips, Watch Your Back – Karen Rose, Going Twice – Sharon Sala, Once in a Lifetime – Jill Shalvis, At the River’s Edge – Mariah Stewart, A SEAL’s Salvation – Tawny Weber, and Home to Seaview Key – Sherryl Woods all sound good. I'm still waiting for the mail man to bring me Up from the Grave by Jeaniene Frost, Melting the Ice by Jaci Burton and Wild Things by Chloe Neill. Grace Burrowes, Jill Shalvis, Jillian Hunter, Sabrina Jeffries, Jesse Hayworth, Karen Rose, and my fellow bandita, Tawny Weber, are auto buys for me. Elizabeth Michels is in my chapter, and her book looks cool. I've enjoyed Vivian Arend's Adrenaline Search & Rescue series, so I'm picking up that one. 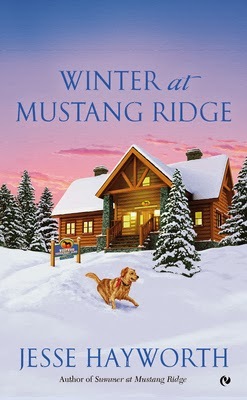 I've read Winter at Mustang Ridge (Jesse Hayworth), and it was great. As usual, I'm behind on my reading, but I'll be getting to the others soon. I've read Burn for Me, Motorcycle Man and That Touch of Magic. I would highly recommend Motorcycle Man it is awesome. There are several more that I'm looking forward to reading. I've got my copy of Cathy's "The Bride Says No" and look forward to starting the book. I'm also looking forward to Jaci's "Melting the Ice" and Karen Rose's "Watch Your Back." Looks like a fantastic list of books. 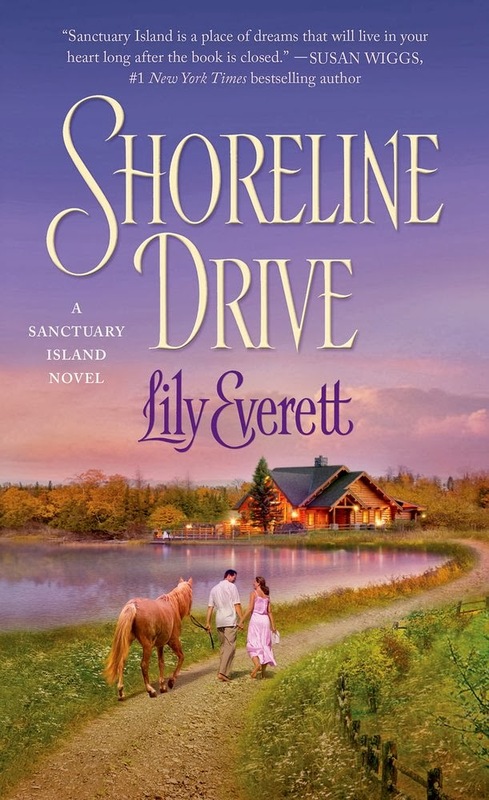 I've read and enjoyed Why Earls Fall in Love – Manda Collins, Romancing the Duke – Tessa Dare, The Bride Says No – Cathy Maxwell, Shoreline Drive – Lily Everett, All You Need Is Love – Marie Force, Had to Be You – Robin Kaye, Cider Brook – Carla Neggers, At the River’s Edge – Mariah Stewart, and Home to Seaview Key – Sherryl Woods. Still on my TBR or TBB list are Walking on Air – Catherine Anderson, The MacGregor’s Lady – Grace Burrowes, Much Ado about Jack – Christy English, When the Rogue Returns – Sabrina Jeffries, What the Groom Wants – Jade Lee, The Cowboy of Valentine Valley – Emma Cane, Texas Hold ’Em – Christie Craig, The Taste of Apple Seeds – Katharina Hagena , R Is for Rebel – Megan Mulry, The Curl Up and Dye – Sharon Sala , Once in a Lifetime – Jill Shalvis, The Summer They Never Forgot – Kandy Shepherd, and A SEAL’s Salvation – Tawny Weber. Ooooh, I was wondering my list wasn't syncing up with her list. That makes sense. 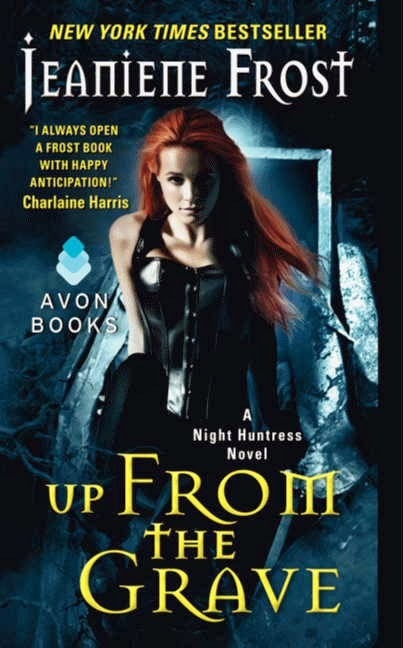 Wulfe Untamed – Pamela Palmer --> so sad this is the last in the series!! There are so more on my list but these are my absolute must-reads! 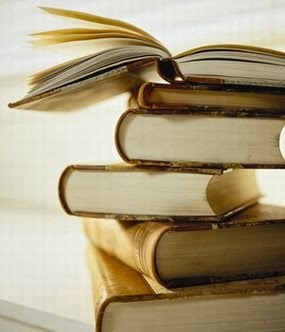 I need soooo much more time to read! 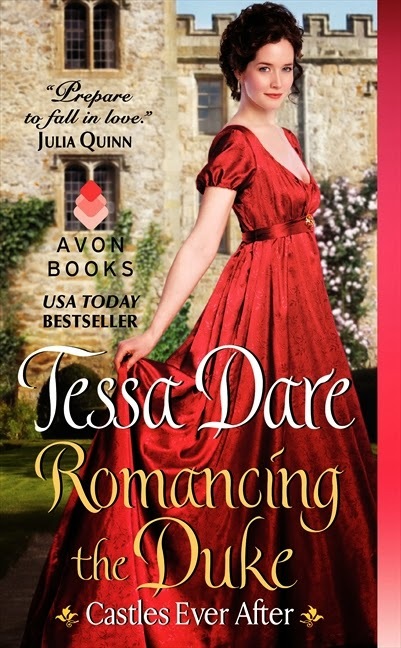 I am looking forward to reading Romancing the Duke by Tessa Dare. When the Rogue Returns & Romancing the Duke. The Bride Says No & Why Earls Fall in Love. Pretty much all the other Historicals too :D Gosh, so many good ones again!!! !